The San Francisco Opera has dropped a famous singer accused of sexual assault from its roster for next year. The American star countertenor David Daniels was scheduled to play the principle character of Medoro in the company's June 2019 production of Handel's Orlando at the War Memorial Opera House. San Francisco Opera issued a statement Thursday saying it has removed Daniels from the cast in the wake of multiple sexual assault allegations against the singer that emerged in recent months. One of Daniels' voice students at the University of Michigan filed a lawsuit two weeks ago alleging his teacher drugged and assaulted him and sent him sexually explicit photos and videos in 2017. Another singer came forward in August saying Daniels raped him in 2010. Daniels, 52, took a leave of absence at the University of Michigan after the first accusation emerged. He denies both allegations. "The decision to part ways with Mr. Daniels, for business and professional reasons, was reached after considerable deliberation given the serious allegations of sexual assault, an on-going police investigation and a lawsuit filed against the American opera singer," reads the San Francisco Opera's statement. "While these situations remain under investigation, San Francisco Opera is unable to present the artist on the War Memorial Opera House stage." 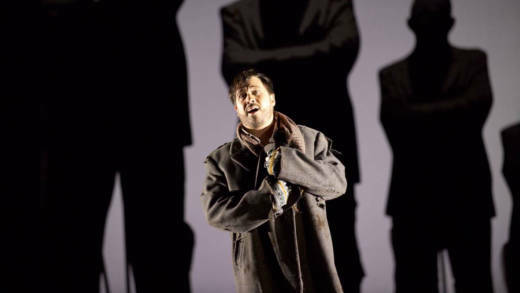 One of the world's most renowned contemporary exponents of the "countertenor" voice (a rare, high male voice similar in range to that of a female contralto), Daniels has appeared in five San Francisco Opera productions since 1997. "David Daniels is very beloved as a singer," said San Francisco-based opera blogger Charlise Tiee in a phone interview. "He's probably the most famous singer of that voice type in the world." Tiee said the opera community has come out in support of the alleged victims. "I haven't seen anyone disbelieve the accusers. They sound pretty credible," Tiee said. "I mean, why would you make allegations if they weren't true, especially against somebody who is very famous and powerful?" Tiee said firing Daniels was the right thing for San Francisco Opera to do, even if the move comes months after the initial accusations emerged. "I was surprised they didn't drop him right away after the first allegations," Tiee said. San Francisco Opera didn't immediately respond to questions about the timing of the decision.